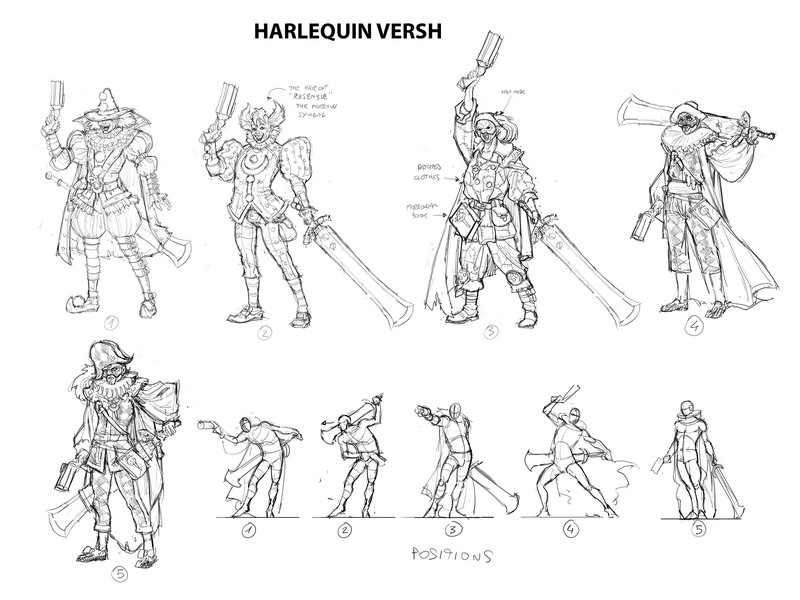 In the first round of sketches, Andrea provided us with several options that could have gone in some fairly crazy directions. We immediately decided to avoid any clown-like appearance—so as not to alarm the rational part of the population that is rightly terrified of clowns. Of all of the options, #5 had a lot of potential. The first change we needed to see was to make the mask more evil looking with an exaggerated nose. Instead of using the half-mask, we determined we could give him an evil grin if we went for a full mask. Remove the ruffle around the neck, frills, and bows. Give him a high collar. Bulk up his muscles to be closer to super-heroic. Pose #3 looks like the best direction to go as an homage to his original pose. Hat and high collar from #1. Everything else from #3, with the billowy sleeves from #2 tucked into the gloves of #3. 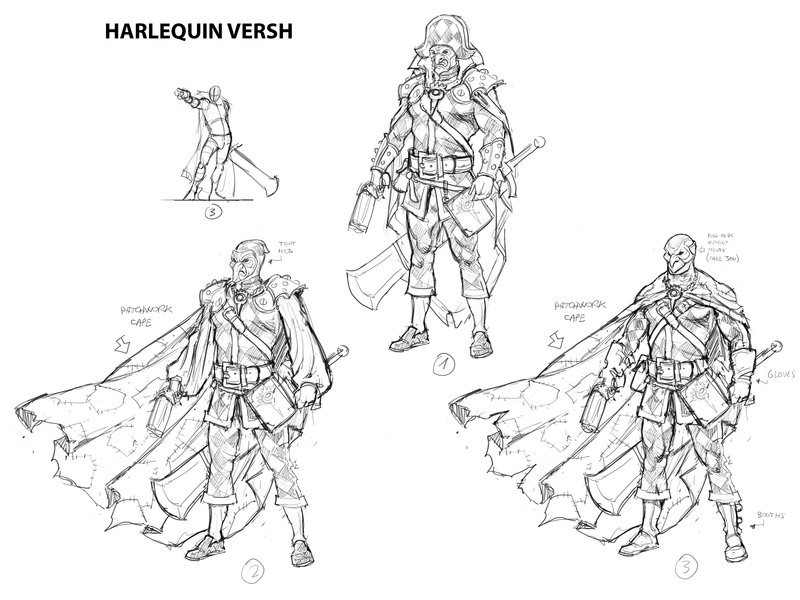 I hope that you’ve enjoyed this peek behind the curtain into the concept art process for Harlequin Versh. 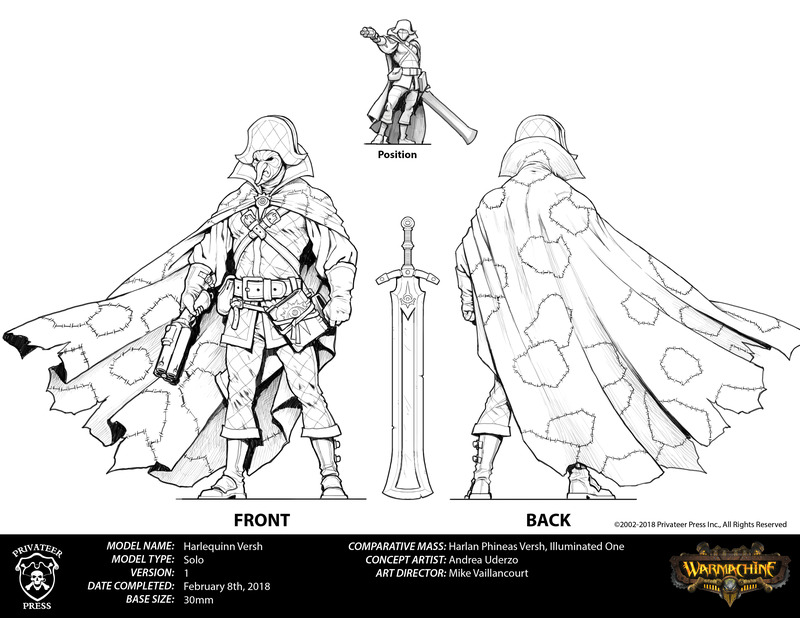 Now that you’ve seen the concept art, go check out the miniature on the MiniCrate website and secure yours today!